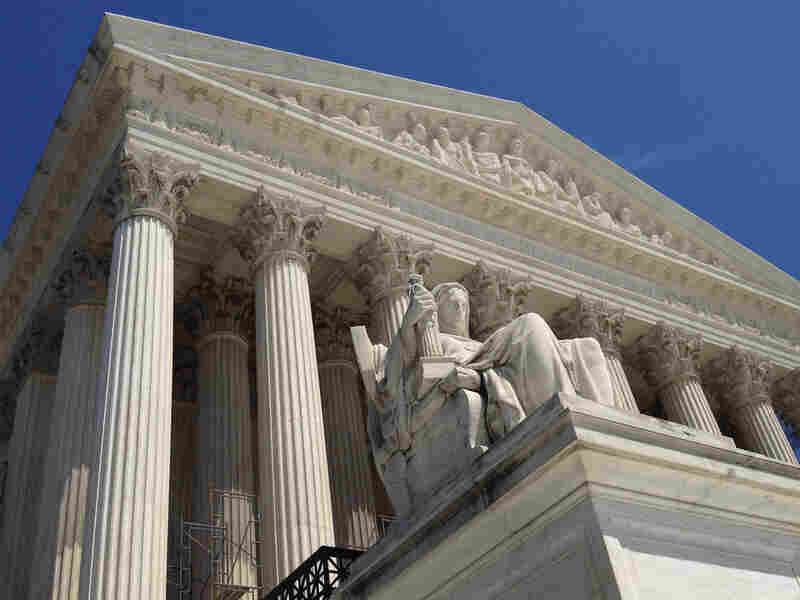 After Supreme Court Ruling, Health Law Will Cover Fewer And Cost Less : Shots - Health News The Supreme Court decision that made the expansion of Medicaid optional for states will result in 3 million fewer people getting coverage. And that will also reduce the overall price tag of the law over the next decade by about $84 billion. When the U.S. Supreme Court made a Medicaid expansion optional under the Affordable Care Act, the decision lowered the estimated cost of the law. The Congressional Budget Office and Joint Tax Committee this afternoon issued their long-awaited analysis of the cost of the Affordable Care Act post-Supreme Court changes. Their verdict? Making the expansion of Medicaid optional for states will result in fewer people (about 3 million fewer) getting coverage. But that will also reduce the overall price tag of the law over the next decade by about $84 billion. Now that's not as obvious as it first sounds. Some had suggested the total cost of the law could rise by as much as $80 billion due to the Medicaid changes. That's because it was assumed that many of those people who suddenly weren't going to get coverage though Medicaid would get coverage instead through new health insurance exchanges. Some would qualify for federal subsidies to help them buy the coverage. And those subsidies would cost the federal government more than the Medicaid coverage would have. And that will be true, but only for some of them, said the CBO. "Roughly two-thirds of the people previously estimated to become eligible for Medicaid as a result of the (health law) will have income too low to qualify for exchange subsidies," the report says. "In addition, those who become eligible for subsidies will have to pay a portion of the exchange premium themselves, which will affect their decisions about whether to enroll in the exchanges." While the CBO said it is still too soon to predict which states will or won't expand their Medicaid programs, it projects that overall, about six million fewer people will be added to the rolls than the 17 million it estimated in March, when the Medicaid expansion was still considered mandatory. Overall, half of those people will find other coverage, meaning that in 10 years, the law will result in a reduction in the number of uninsured of about 30 million Americans, rather than the 33 million it estimated in March. But it also says that the law remains more than fully paid for, because the reductions in spending for Medicaid are larger than the increases in subsidies that will be paid out. As a result, an accompanying report to the House GOP leadership estimates that repealing the law, which the House voted to do two weeks ago, would increase the federal deficit by $109 billion over 10 years. The report was met with relief by the law's backers. "Health reform is already making progress improving care, increasing coverage and controlling costs," said a statement from Senate Finance Committee Chairman Max Baucus, a Montana Democrat. "Repealing the law would only set our health care system back and add more than one hundred billion dollars to the deficit over the next decade. Now it's time to stop the political gaming, implement the law and help as many Americans as possible get access to high-quality health care." But Sen. Orrin Hatch (R-Utah), Baucus's counterpart on the Finance Committee, saw things quite a bit differently. "CBO exposed the President's partisan health law for what it is: a massive expansion of government paid for with over a trillion dollars in tax increases, while increasing costs on the backs of middle-class families, job creators and states during the worst economic downturn in a generation," Hatch said in a statement. "Higher health care costs, more government spending, higher taxes while slashing seniors' access to Medicare is why the American people continue to oppose this law. It's bad to its core and must be repealed."